January 24, 2018 By Jen This post may contain affiliate links. Read our disclosure policy. 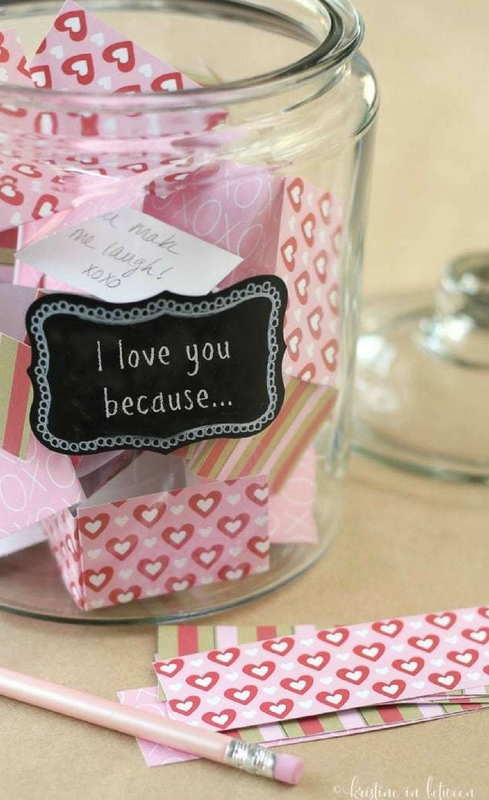 I’ve been thinking about a cute little craft idea that I could make and share with you for Valentine’s Day. Of course, there are a million and a half adorable ideas for this time of year, but I knew I wanted something that was both meaningful and crafty. This kids idea is from Kristine In Between. Be sure to scroll down for the direct link. Be sure to click over to Kristine In Between to read more about this I Love You Jar!